I want to thank you for the Oak Summit door installed by Rick. He was very professional throughout the whole process. The door looks great! We will be sure to tell our friends and neighbors about your company. Many Thanks! Just a quick note to tell you about our experience with you company. Our old opener was on its last leg. Your technician came out the same day and installed a new Lift Master opener and what a difference! 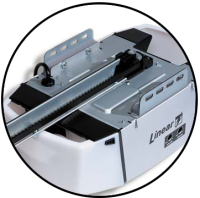 We are very appreciative of the up-front pricing and quick work performed. Thank you GreenLight OHD. I have a very large garage door that would not open. Rick came out the same day I called and replaced the springs. Works great now. Thank you for the fast service. Wow! I don’t normally write up reviews but I want you to know how happy my wife and I are with your service. Our old door spring was broken which prevented it from working. Your guy gave us many options for repairing or replacing our door. We decided on replacing the spring for now but when it comes to time to replace this door, we will be sure to give your company a call. Thanks for the great service. 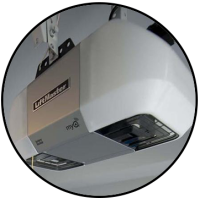 Look no further for your new overhead garage door. 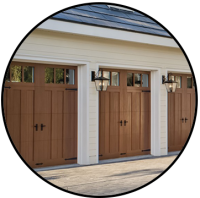 We specialize in garage door repair, service, installation and sales of steel, wood, carriage-house or composite garage doors in Raleigh, & Cary, NC. We know all about garage door service and repairs and we're here to help 24/7. 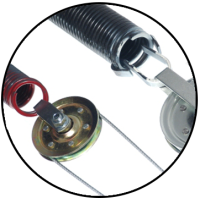 Garage door replacements, repairs, openers, hinges or springs, we provide the best quality garage repair in Raleigh. Faulty or old garage door opener? That's one of our specialities. Professionally installed or repaired, with GreenLight Overhead Door you'll get the best garage door service at the best price. GreenLight Overhead Door serves you as a first priority with local and professional customer service. 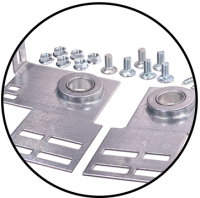 Call now for your one stop Raleigh garage door service or repair today. 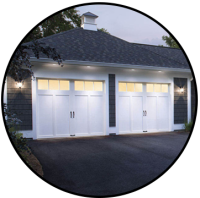 As a locally owned and family run business, at Greenlight Overhead Door we expertly install and service garage doors and openers in the Raleigh Triangle and Sandhills areas of North Carolina. Our garage door repairs and service are done by trained and insured technicians and our residential customers have come to rely on our pledge to unparalleled quality, service, workmanship and expertise. We pride ourselves on our customer service. Providing you with the information and patience you need and deserve. With free estimates on all garage door repairs, service, and installations, and, for your convenience, accepting all major payment forms including cash, check, and debit/credit cards.